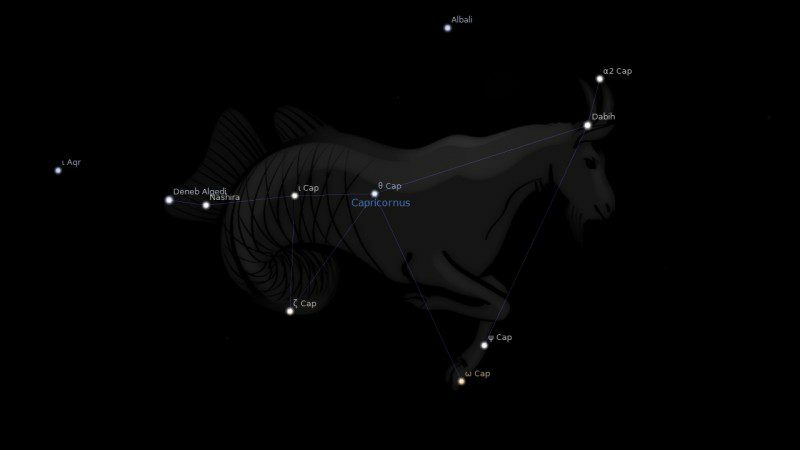 Fixed star Nashira, Gamma Capricorni, is a 3.7 magnitude giant star in the tail of the Sea Goat, Capricornus Constellation. The traditional name Nashira comes from the Arabic word سعد ناشرة (sa’d nashirah) which means the lucky one or bearer of good news. Nashira, γ Capricorni, is from the Arabic Al Sa’ad Al Nashirah, The Bearer of Good News, and is one of those rare stars reckoned as ‘good’, even by the traditional astrologers. They saw it rightly as an indicator of social popularity and political success for the individual blessed with it on the chart. 1. Fixed Stars and Constellations in Astrology, Vivian E. Robson, 1923, p.179. 3. Fixed Stars and Their Interpretation, Elsbeth Ebertin, 1971, p.74. 4. The Living Stars, Dr. Eric Morse, 1988, p.104. 5. The Fixed Star Health and Behavior Imbalance, Ted George and Barbara Parker, 1985, p.152. I have Sun conjunct Saturn on this star trine Jupiter. Would this bring out the more positive influences or does Saturn restrict it? Hi Michelle, good question. 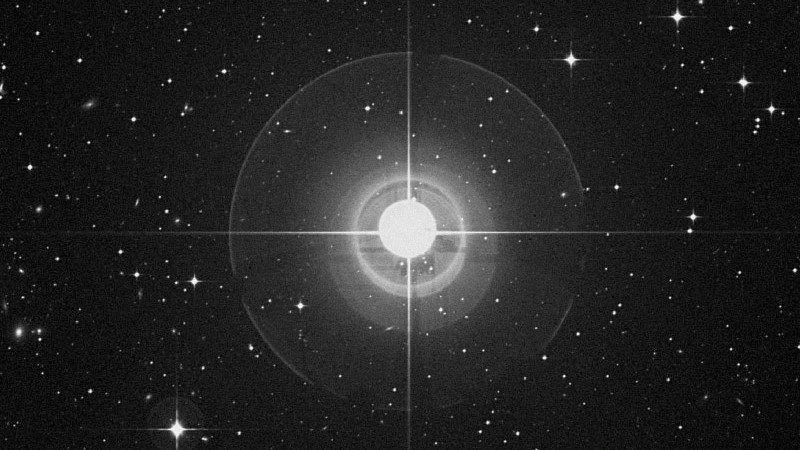 I would think that because the star has a Saturn Jupiter nature, Saturn would do well here, especially trine Jupiter. More the business person, statesman, politician, educator, traveler, wise mentor. triangle with Uranus in Libra 23’01 .. But his Moon conj Uranus, conj Saturn aligned with Algol on his IC…didn’t really help much with the stability..